When you self-publish, you have to pay all the costs of producing your book. But how much are those costs going to be? I’ve seen some widely varying estimates online and some terribly high charges asked by some of the companies that offer to do all the work for you. So, to give some clarity to the situation, I’ve decided to tell you how much I spent to produce my latest book. There Must Be Horses is a 49,000 word novel for teens/young adults without illustrations. Before I started down the self-publishing road, I set myself a maximum budget of £2000 so I was pleasantly surprised to find I only spent £650 to produce the book in both ebook and print-on-demand format. Here’s a breakdown of where the money went. I decided that I wanted my own ISBNs so I bought a block of 10 for £121.98. 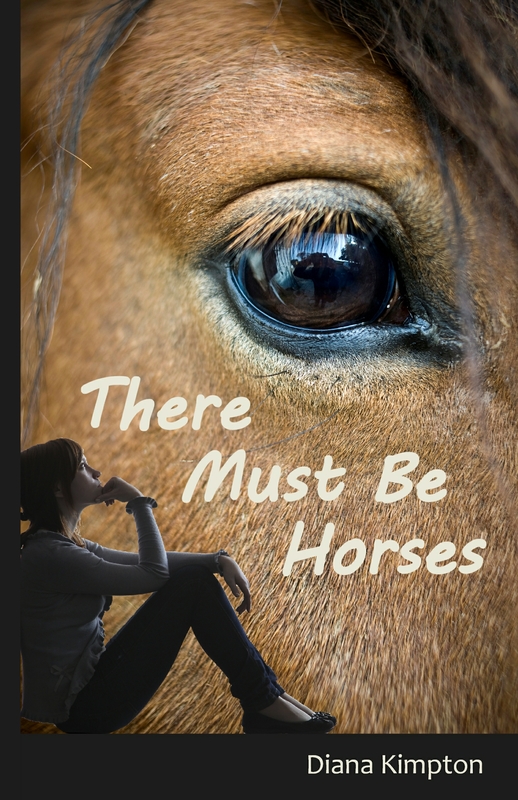 I used three for There Must Be Horses – one for the print edition, one for the Kindle book and one for the epub edition. The £650 includes the full cost of these, but I’ve got seven left over for other books. I was determined to produce a book to the same standards as a traditional publisher so I paid a professional editor to do a proper, structural edit. She commented on how the book worked, picking up bits of the plot that didn’t quite work and highlighting places where the motivation wasn’t clear, behaviour wasn’t believable or the pacing went wrong. I paid an hourly rate of £22.50 to someone I had worked with in the past and whose opinion I trusted. I’d already done several rewrites by the time I gave it to her so she didn’t have too much work and the final cost was £162. Obviously this would cost you more if your book had more structural issues. Once I’d finished sorting out all the issues raised by the structural edit, I handed the book over to an experienced freelance copy editor. He picked up spelling and punctuation errors (I’m dreadful with question marks) and subtle issues such as using a mixture of em-dashes and en-dashes – an error caused by the way Word works. He also pointed out an issue with chapter lengths that I had introduced while sorting out the structural edit. He charged £18 per hour and the total cost was £112. Again, this would be more expensive if the book contained more errors so I gained from having given him a relatively clean manuscript. I had originally decided this was beyond me and commissioned a cover designer recommended by a friendly small publisher. The price was going to be £350, but the designer had taken on too much work and, when the cover was three months late, I decided to cancel the order and try designing it myself. With some help from my husband who has done a course in Photoshop and feedback from long-suffering friends, I finally created both the ebook and print covers myself. The costs involved were £111 for pictures from istockphoto.com and £51 for a copy of Serif PagePlusX6 – powerful, inexpensive software that’s ideal for self-publishers. Steve and I are web designers so this was something we managed easily using software we already had and free software we downloaded. It’s a pretty straightforward process if no pictures are involved so, even if you’ve no technical experience, you can do this yourself using Amazon’s KDP system and Draft2Digital’s system. For me the total cost was zero. I started off thinking I would have to pay for this and was quoted £350. But I didn’t want to end up with an InDesign file that I couldn’t edit myself when I spotted a typo so I decided to try doing it myself using PagePlus. It took me a while to get the hang of the software and to understand the principles of book design (more of this in another post) but, with the help of an excellent book, a kind man on the PagePlus helpline and www.thebookdesigner.com, I finally produced a book that looked professional and had all the features I wanted. (dropped caps at beginning of chapters, clear text, good line spacing). Apart from the software that I’ve already included, the only cost was a copy of The Non-Designer’s Design and Type Books for just under £30 – expensive but really useful. I produced the print-on-demand edition with Createspace using the pdf files for the interior and cover that I had produced with PagePlus. As a result, the only cost was £23 for two paper proofs. One would have been enough if I’d spotted the problem with the first one in the digital proof checker provided by Createspace but the fact that I didn’t proves the value of getting a proper proof copy. A large part of this cost was fast delivery to the UK. If you are based in the US, the proofs will be less expensive. By the time I had spent that £650, There Must Be Horses was on sale in Amazon and the Kobo shop on both sides of the Atlantic. I hope this gives you some useful figures to compare with the thousands that some self-publishing services charge (usually without any editing). This entry was posted on August 8, 2013 by admin.